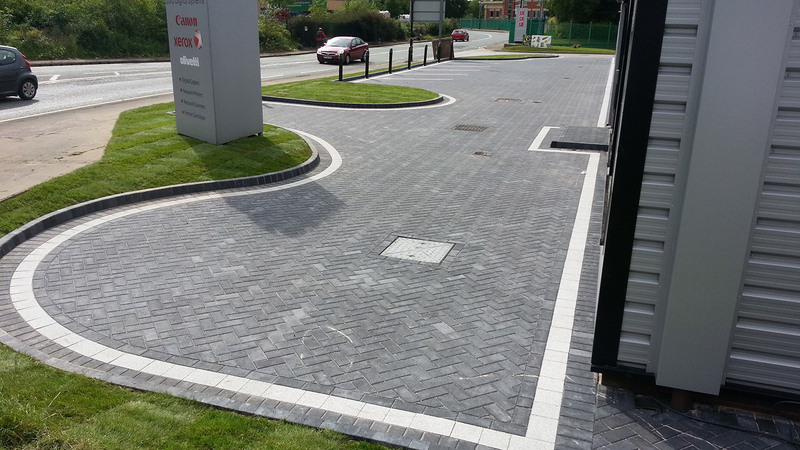 What ever style of driveway you require, we always create a stunning design and quality finish. 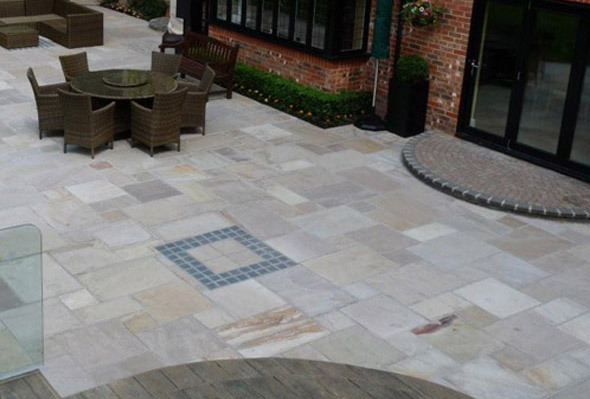 Acorn Landscapes is a helpful family run business, we are passionate about paving and specialise in hard landscaping such as driveways, patios and walling, taking time, care and pride in every job we do. 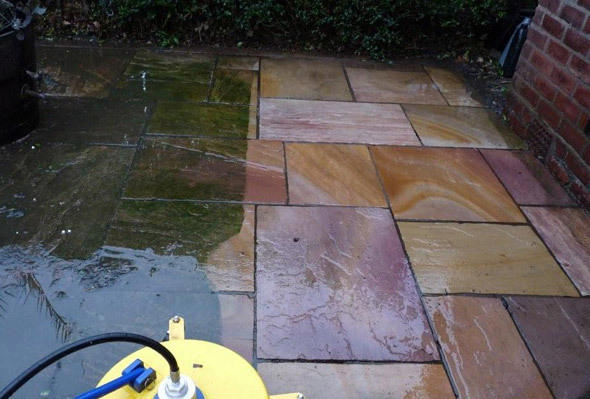 Because we are a small company without constraining overheads we put all our effort and enthusiasm into creating your perfect outdoor space, using our knowledge and taking the time to help you to choose the right materials, giving you a home to be proud of. 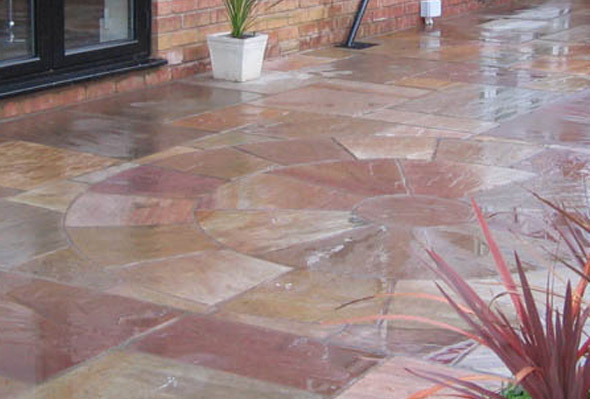 Acorn Landscape’s driveways and patios will always add permanent value to your property giving you year up on year of pleasure by adding outstanding beauty to your home. 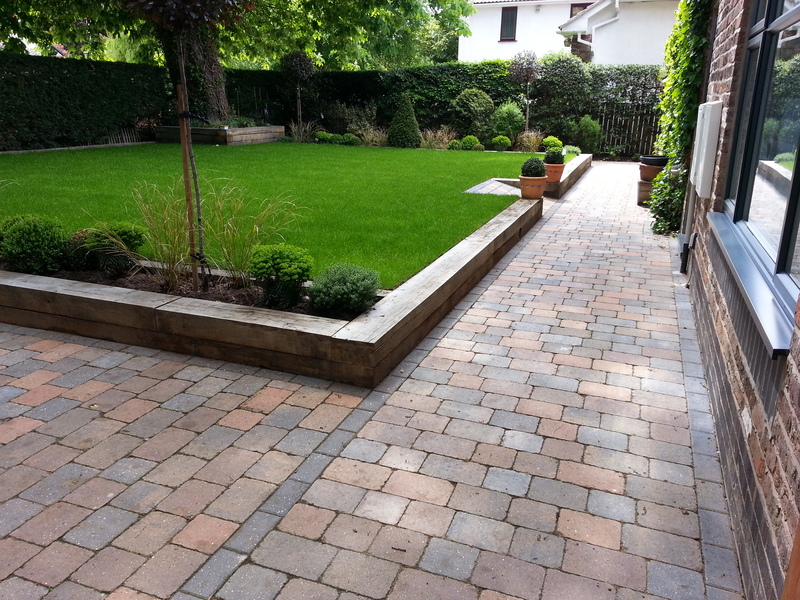 On this particular project myself and the team were asked to replace a plain looking tarmac driveway. 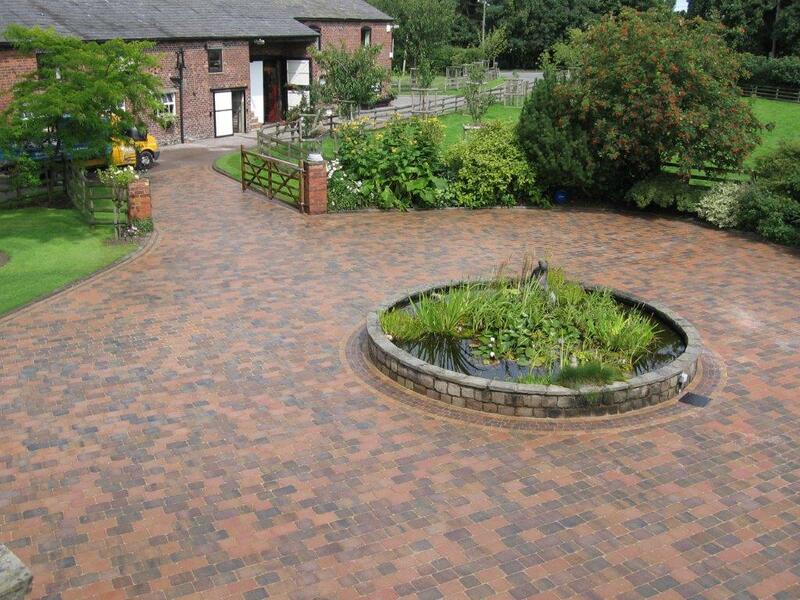 The clients couldn’t decide what to do, as they wanted a new driveway but wanted to avoid the footballers house look. 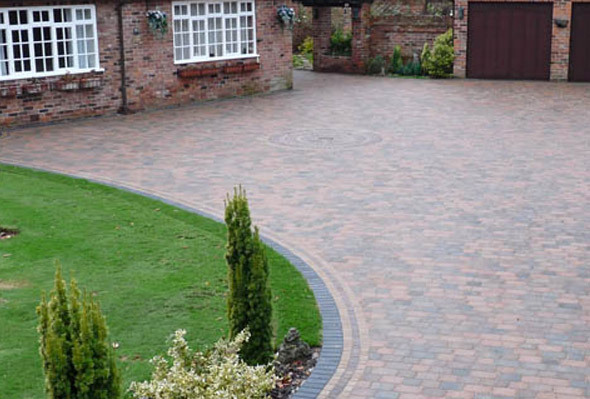 They wanted a traditional looking driveway which would suit the character of the property. 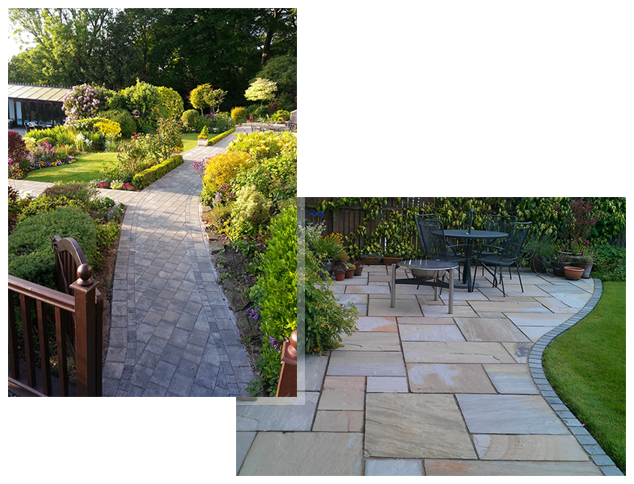 We were asked by the client’s of this particular property to remove and replace an old driveway in Wilmslow,Cheshire. 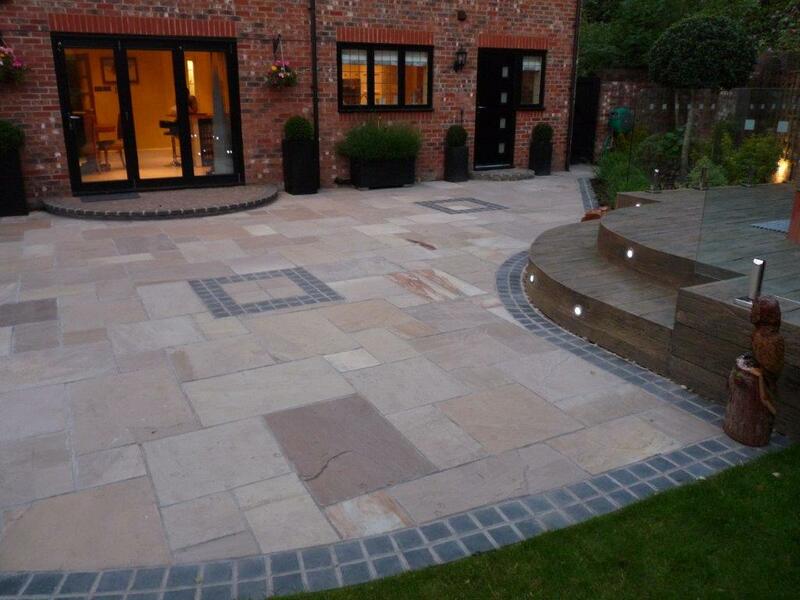 The house was built in a beautiful Cheshire brick, we wanted to use a style of paving to compliment the character of the house. 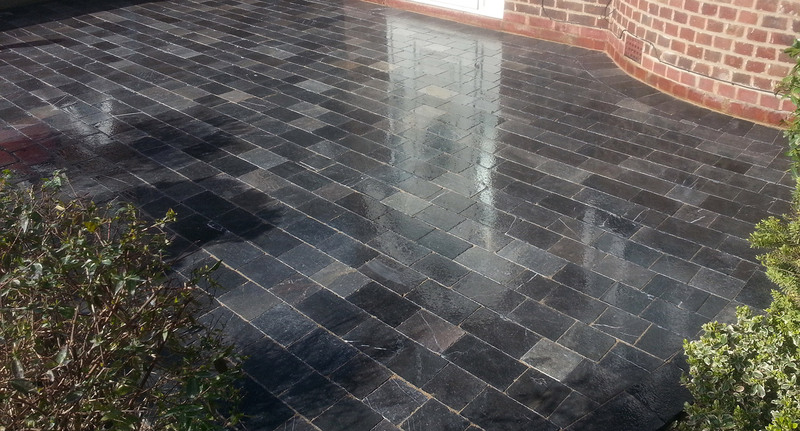 We chose a tumbled block to give a rustic and traditional feel which also allowed the building to flow through the driveway. 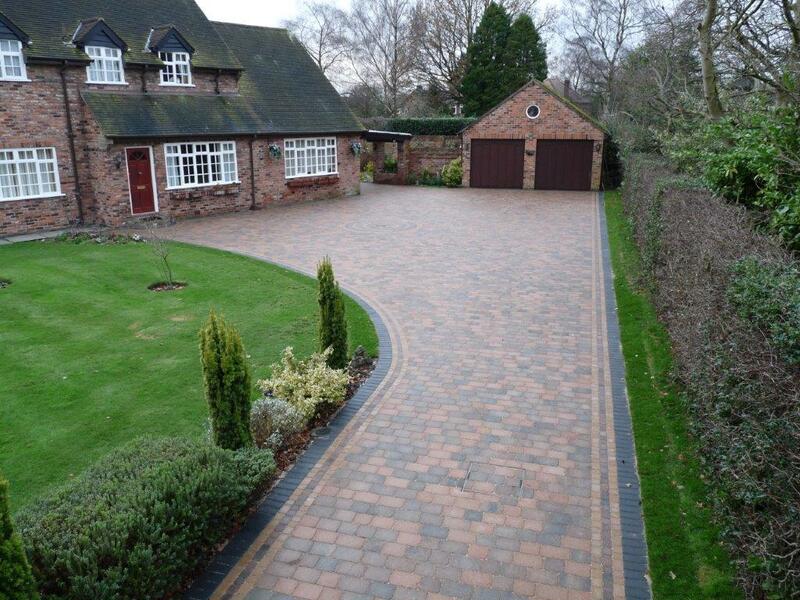 This style of block has warm autumn colours and goes brilliantly with the Cheshire brick. Gavin Shute and the team were commissioned to design and construct a new patio with a raised area that would be suitable for a hot tub. After discussing with the client what their needs were, it was paramount that the design incorporated materials that are easily managed and maintained. The team got to work removing the old patio and cleared the whole space for the new design to be implemented. This was a project completed over different stages. The first phase being the garage basewhich we had to seek planning permission because the base was so close to a very old oak tree with a TPO. Great care was needed in the excavation so no damage was caused to the tree roots. 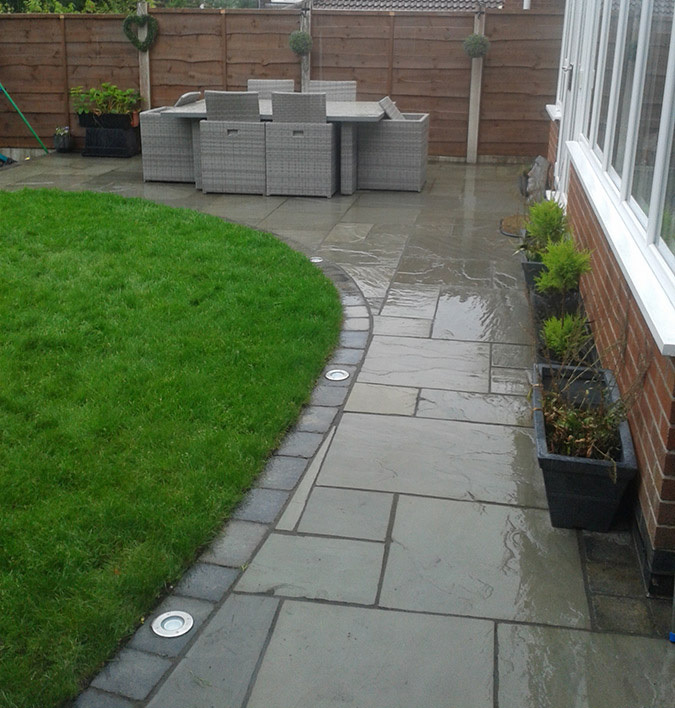 This was a project which required a new patio, retaining wall and drainage. 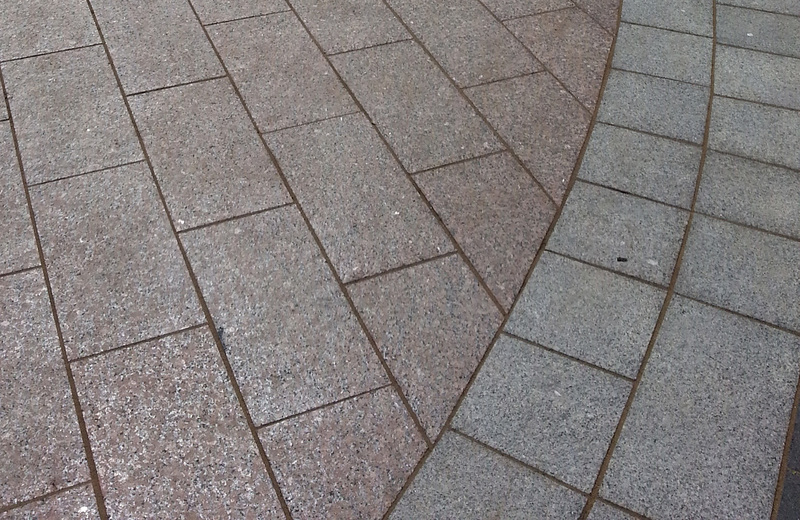 The first job was to make the side pathway down the property wider so bins could pass more easily. Once the pathway had been doubled in width which required 40 tonnes of excavation, there was a huge amount of space and light added to the side of the property. The retaining wall was now built. 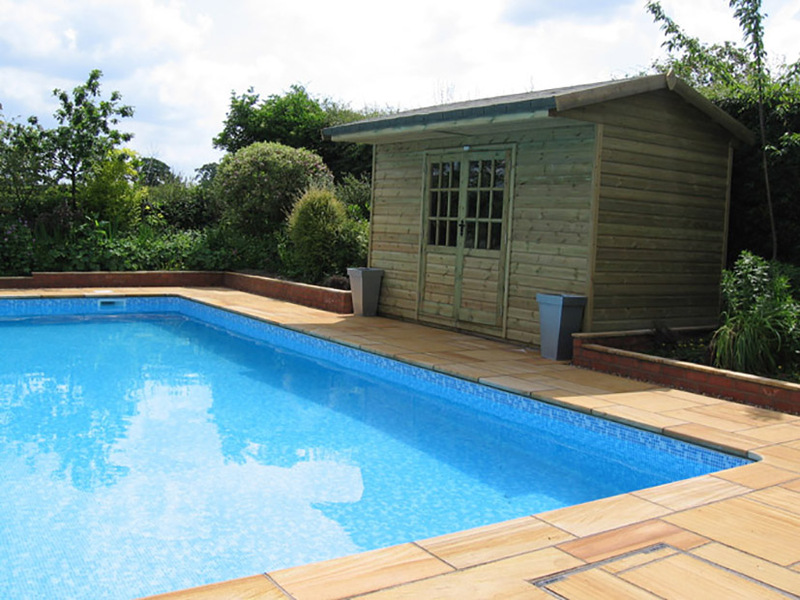 An existing client whom we have worked for many times before wanted us to construct a swimming pool and patio area in time for summer. The work started by firstly deciding where the pool was going to be built. Once this had been thought through thoroughly we started a huge amount of excavation. Approximately 300 tonnes of clay was excavated and removed from site. With a very big hole dug we prayed for dry weather so the walls could be built. Thankfully the weather strayed dry and the walls were built in know time at all.